That skirt is gorgeous! You ladies are working the colors. That skirt is just so very cool!!! Stop and people stare worthy! LOVE IT! 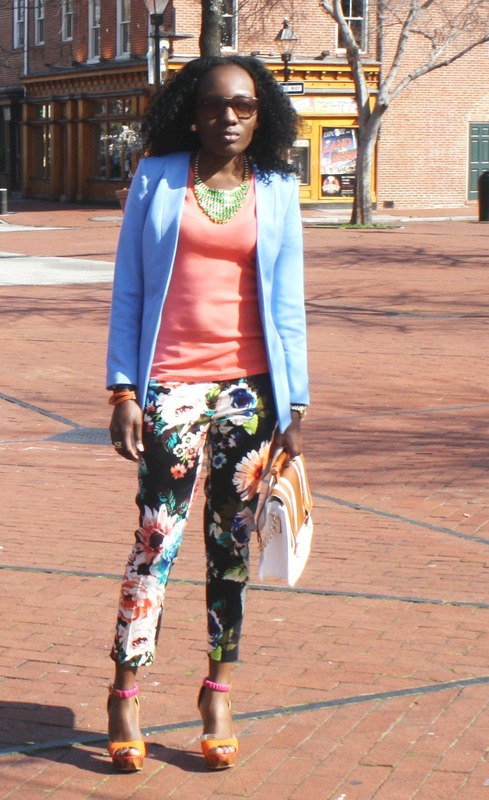 Just bought those floral H&M trousers too! Can't wait to play around with them! OMG I love this post! That skirt is stunning on you. I've seen in on a couple of bloggers but I was kinda bla about it but something about how it sits on you is lovely. OMGGGGGGGGGGGGgg the skirt and the pants!!!!!! 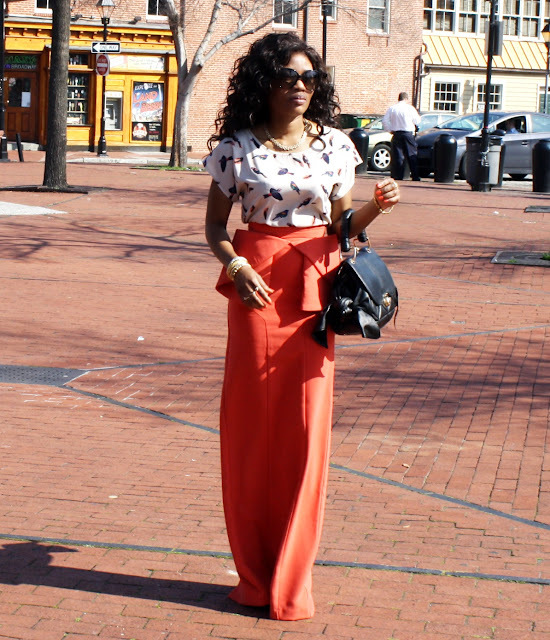 Wow, love, love, love that skirt and I'm drooling over those colorblocked heels! WOW! You ladies always look amazing! Thanks to everyone for the FAB comments! Stunning skirt, and I love those floral pants and heels! You girls have such wonderful style. oh wow, fabulous as usual guys! that maxi skirt is too die for and the color block sandals are so pretty! you guys have such great pieces!!! That skirt is so unique, super cute. I love that white purse as well. that skirt is so fantastic! i'm in love with the shape! 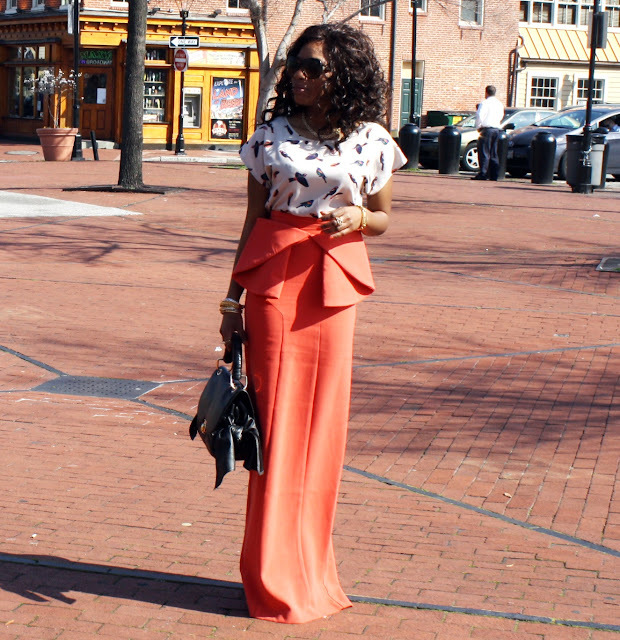 That orange skirt is gorgeous, very regal! 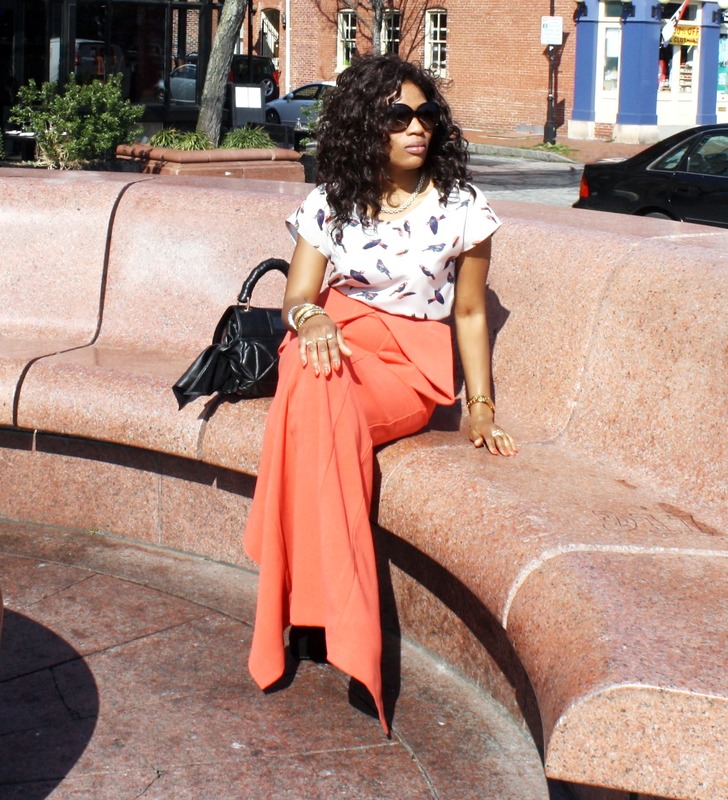 And I'm loving the H&M pants that are popping up all over! That oragne skirt is simply FABULOUS!! And I have to buy those H&M pants too!!! can it be 5th, 6th, and NIco's closet? 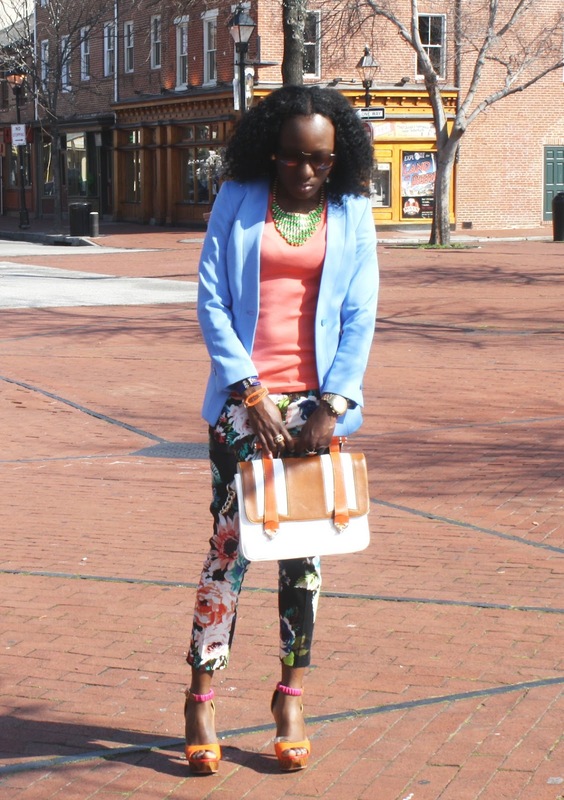 Love how you style all your amazing pieces ladies! You two look amazing as always. 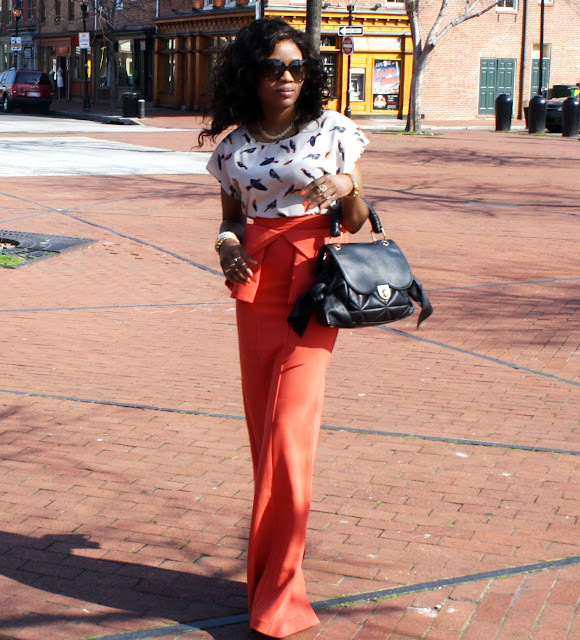 I am loving that orange skirt, and I also just bought those floral pants! These pictures are fantastic too! thanks for your comments in my blog. you got a nice style, but as for me, 'am not really high heels,lol. 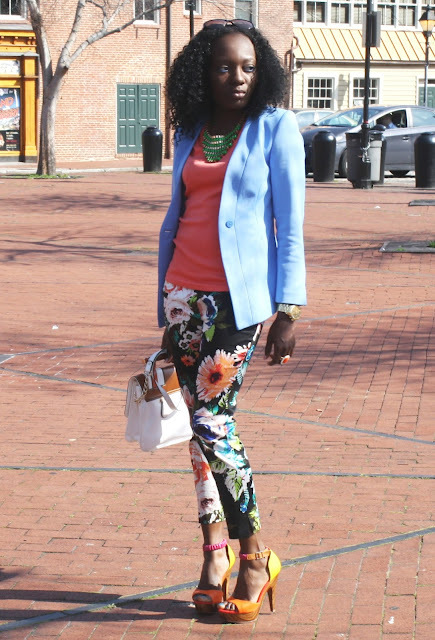 Love both of these outfits - the bold colors are amazing and perfect for spring! Oh my!!! The skirt is amazing...the pants even more. OMG! 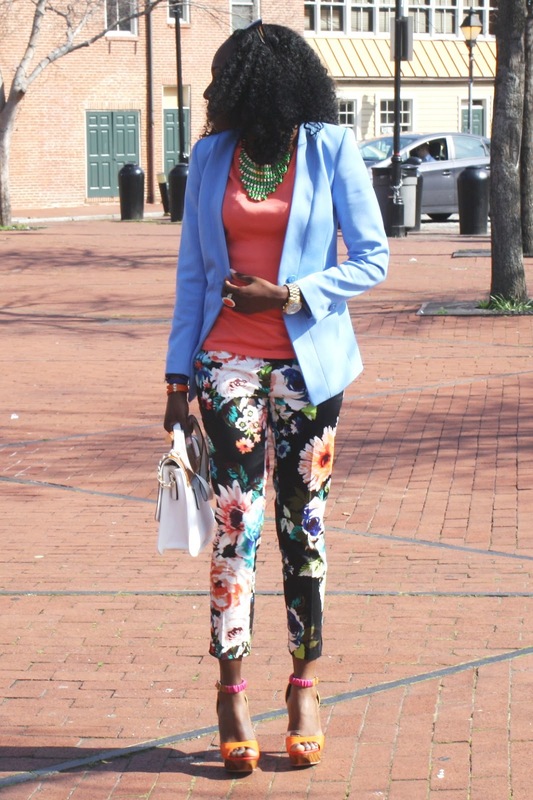 flowers and birds- perfect combination<3 you look amazing! Gorgeous!!! 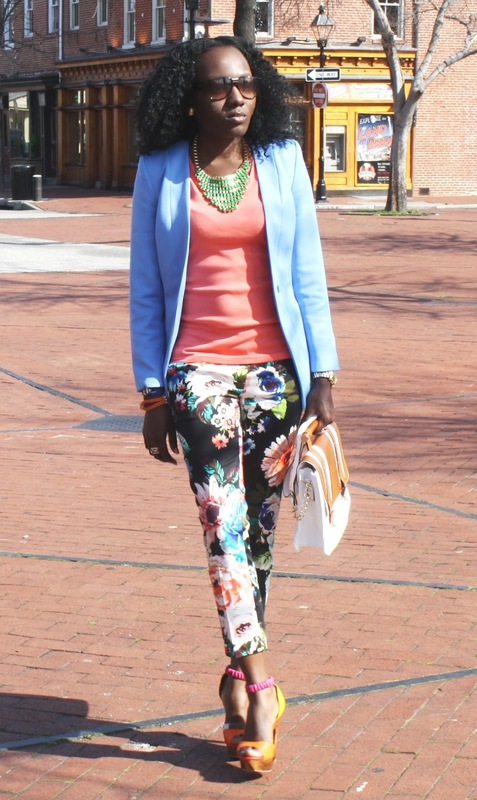 Live the skirt amd those floral pants....HAUTE! Awesome out ladies. I love love that Aqua Skirt could you tell me where you bought it from??? ?